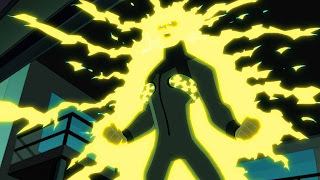 You know who's an awesome villain that should be used more? Unfortunately, it seems a lot of people - readers and creators alike - don't think so. Max Dillon has the power to control electricity! Do you know how cool that is? At the very least, he'd be on par with Magneto. When you think about how much in the world is controlled by electricity, the storyline potential is boundless. 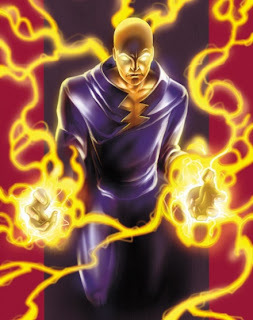 A few years ago, when Marvel had the Epic Comic tryout, a friend of mine and I came up with the idea that Electro could easily fight Sleepwalker in the latter's native Mindscape, because if Electro had the capability to control all electricity, he must have enough control over the electrical impulses in his brain to access the subconscious. And it would have looked great in a comic book. 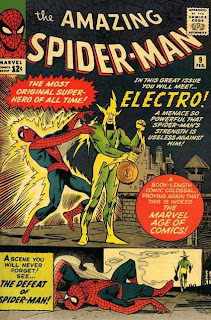 Electro is almost easily Spider-Man's most powerful villain, and he's always stuck in stories where he gets humiliated, or where he doesn't know what to do with his powers, or where he's a lackey. I mean, sure, it's a part of his personality to be a low-level thug, but you'd actually think he'd wise up and learn by now. He was a top-paid electrician prior to becoming Electro, so he has some level of smarts. 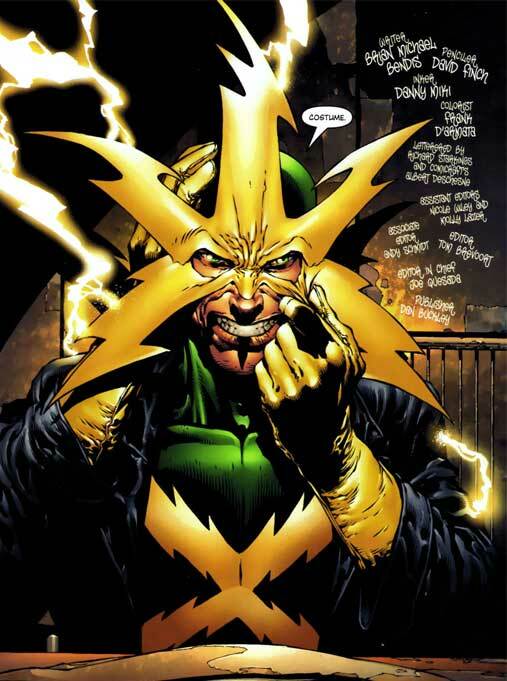 One more thing I noticed is how people seem to hate Electro's costume, specifically the star-shaped mask. I have no idea why. I don't think there's anything wrong at all with the mask. I think it's awesome; it's distinctive and it tells you who he is and what he can do right off the bat. How many costumes do that? Not a significant percentage, that's how many. Indistinct and boring. There's absolutely no class to it at all. He's bald and has a tiny little Shazam-like emblem. Whoop-dee-doo. Are you kidding? How is that visually exciting? It gets for what they were going for their take on the character (a guy trapped in his electric form), but in purely visual terms, it is so blah and boring in comparison to the original suit. Seriously? This is the John Byrne that revitalized the Fantastic Four and the Superman franchise in the 80s? 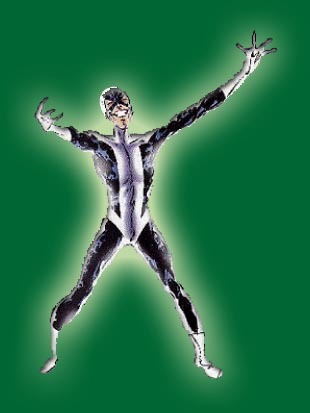 Hell, it just looks like a black-and-white version of Spider-Man's own suit, without the mask. And even then, this particular mask is good-God-the-most-generic-mask ever. Boooo-ring. 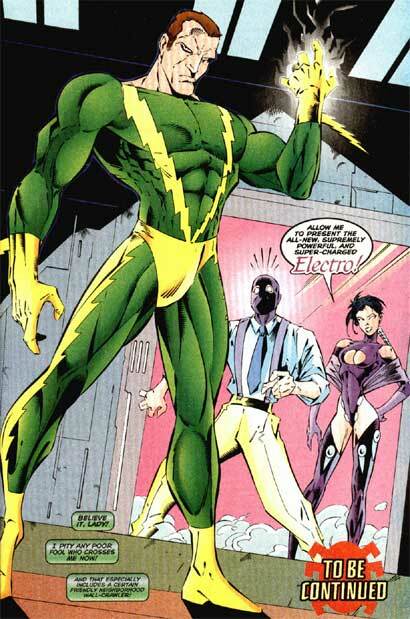 Yes, because Electro's receding hairline is more intimidating than the mask that practically summarizes his superpowers in one glance. It seems that recent artists have learned from this mistake, so they just decided to go with that same concept, except, OH NO! We're going to etch the electrical design on his face! Jeez, this is as bad as the time they removed Bullseye's mask and etched the bullseye on his forehead... you know, in that Daredevil movie. Which sucked. Badly. 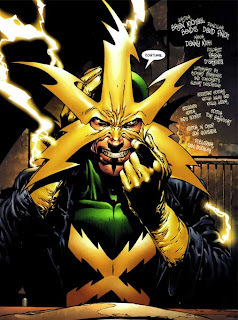 Seriously, how is the same exact electric star on his FACE better than the mask? Really? It makes me wonder why people don't like it! Never mess with a Steve Ditko design, kids. You'll only look boring by comparison. Good post! You provided examples for each point. Of the various Electro variations, the least bad is the current one, with the star on his face. I think part of why artists keep redesigning the star mask is that it sometimes looks too big. 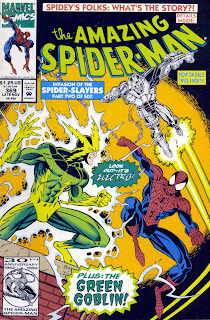 I used to have a poster with all of Spider-Man’s enemies drawn by John Romita (Sr.) and he drew the star smaller. I think that worked. Basic rule: if it looks like he has a jagged yellow KKK hood on, it’s too big. John Romita drew Electro really well, too! I'm not sure about "least bad" or worst ones; I think the Spectacular redesign works in the context of that particular cartoon. But I sure don't see the need to change it, ever, in the first place. If the star is too big, just make it smaller. Got a link to that poster, by any chance? I tried several variations of Google image search but wasn’t able to find it. 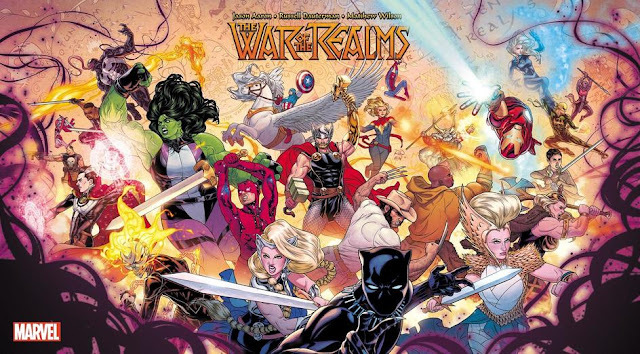 FWIW, this would have been the very early 1990s, and it had a white background with several of Spider-Man’s villains on it: Hobgoblin, Kingpin, Green Goblin, Morbius, Electro, Sandman, and so on. I don’t believe there were any words on it besides the Spider-Man logo and a small copyright notice. Those old posters are really hard to find, unfortunately. I keep trying to find a scanned copy of the Tom Lyle Spider-Man/Scarlet Spider poster, but no such luck. Nice defense of an eccentric but awesome costume. I feel the same way about most of Spidey's villains. Yes, Ditko was an idiosyncratic designer, but those designs are GOLD. 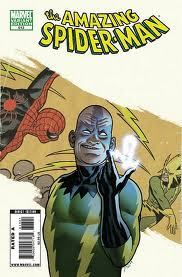 Mysterio, Doc Ock, The Vulture... and my personal favourite, The Scorpion! Why, Oh Why, do they continually feel the need to mess with 'Mac' Gargan? And as with Electro, every time they do, he looks worse! 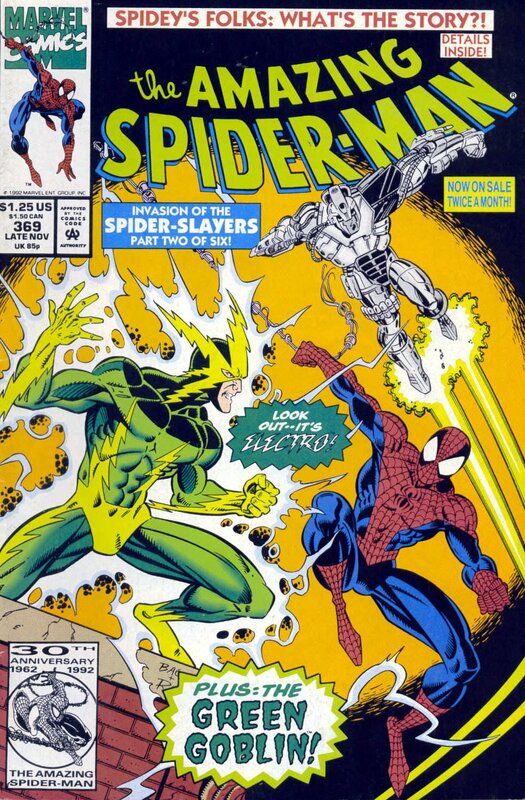 Let's not forget that for his time, Spider-Man himself was an idiosyncratic design! Martin Goodman didn't want it because what the hell? A full face mask? Gloves that don't connect? Webs? He was creepy! But it was gold! Quite frankly, I don't see the need to screw around with Scorpion (and Venom, for that matter) either. Two iconic villains with straightforward motivations! Ah well.